The lack of respect for modern web standards and accessibility here is shocking. No alt tags? All in-line styles with no CSS? And no XHTML? 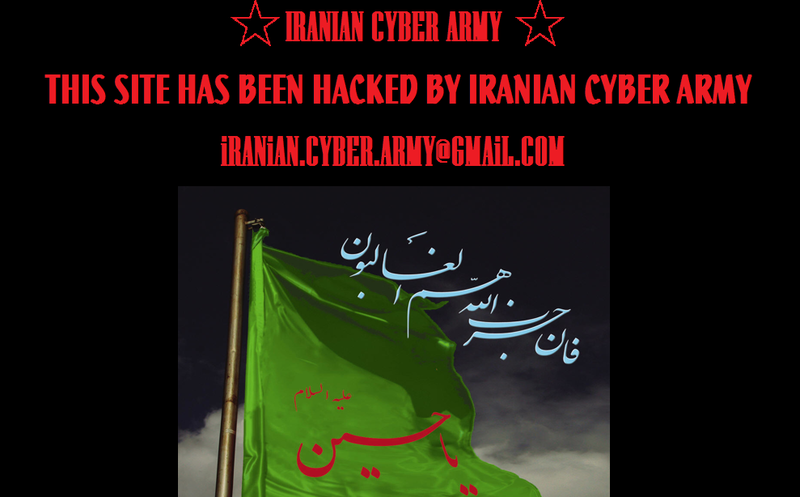 mowjcamp was apparently a reformist overseas-based website that was hacked in the same way. Seems a DNS hijacking for sure. I found no website reporting any information... Anyone? 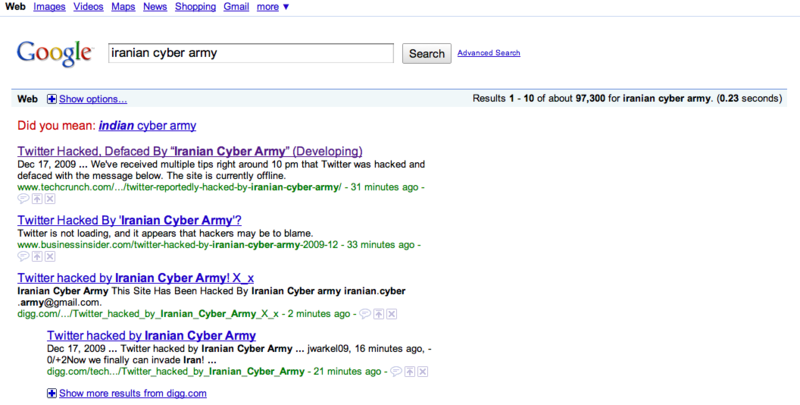 You're calling out that a search for "indian cyber army" is performed more often than one for "iranian cyber army"? Who knows who it really is. Could be some random kiddies in Des Moines. Or some random kitties in da mines.